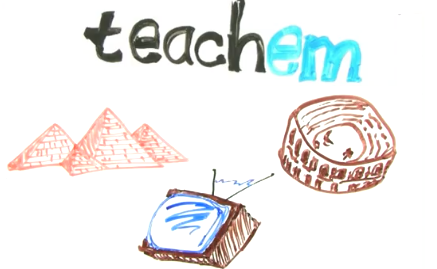 TeachEm is a cool web tool that lets teachers create interactive lessons out of YouTube videos. The process is very easy and simple and does not require any advanced tech knowledge. All you need to do is create your own " School ". You can do this by registering and having your own account. Once registered you can then start creating classes to add to your school. Classes you make contain YouTube videos you have selected for your students. You can for instance organize these videos into different classes. The good thing about TeachEm is that while organizing your videos you can add timestamped flashcards to them so that you can associate text with a particular part of any video. Whenever students click on a flashcard, the timestamped will display the associated spot in the video. These classes can either be open to the public or made private and shared only with specific people.